SoulSomatics is a transformational method to connect to a vast inner and spiritual world of knowledge and unconditional love. It is for anyone who desires a deeper experience or help in navigating a difficult passage. Ancient healing practices, shamanic journeying, and somatic movement awaken intuitive connection and inner wisdom. Celebrate the Equinox and prepare to make the journey within! This is a workshop of introspection, culmination and harvest. Where are you content in your life, and where can you go deeper? What change or challenge are you being presented with? What was working in the past that you have now outgrown? What is Spirit drawing you towards or guiding you away from? In this workshop of Shamanic Journeying (inner visualization) and somatic movement (movement from intuitive source), we will put aside the outer world's demands to set foot on the path within. So many times we are told what to do, what to believe, what we should feel, that we doubt our own senses. Once we start muting the inner voice it can no longer speak as the clear and true compass that it was meant to be. By connecting to deeper states of consciousness through shamanic journeying you can find places within the self that you have dismissed or not been able to listen to. 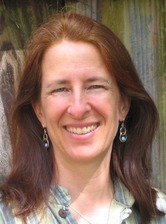 Rebecca Green has studied with shamanic healers in California and New Mexico and indigenous healers in Peru. She brings her skills as a facilitator in team and personal development to offer these unique workshops. Click here ﻿to read more and explore Rebecca's blog site. Some logistical notes: Please bring pictures, prayers or stones for the altar if you wish. There will be a break for lunch. Bringing a lunch is recommended because it will allow you to stay in the space of contemplation. But you will have time to buy lunch if you choose. If you have questions about your ability to work in a group, or are concerned about any mental health issues or trauma you may be going through, please contact Rebecca first. This kind of deep work can be intense and Rebecca would like to be aware of what’s going on so she can give you the support you need. She also offers private sessions if you feel like you need more individual attention. You can call Rebecca at 408-540-8627. ﻿Workshop value $75. Financing available.